How soon is too soon for children to go to the orthodontist? This is a question we get asked all the time, and the answer depends on the child. There is a window of opportunity while the child’s jaws are still growing when orthodontists can help correct crowding teeth, guide the development of the growing jaws, and help make space for adult teeth growing into the mouth. However, some issues can be set aside to be corrected once the child is older. For more information on pediatric orthodontic treatment, we recommend you consult with Armbrecht & Wierenga Orthodontics. The American Association of Orthodontics recommends children receive an orthodontic screening by age 7. During the consultation, an orthodontist will evaluate your child’s teeth and jaws to see if early orthodontic intervention is necessary. 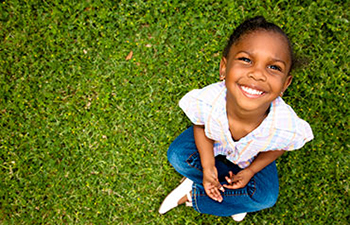 Ideally, your child’s teeth would be corrected through phase 1 orthodontic treatment. However, if your child needs further treatment at a later date, future treatment would be less invasive than if your child had never received orthodontic intervention. A reputable orthodontist will also be able to advise you on whether or not immediate treatment is necessary or if it should be held off for now. For example, dental x-rays can let an orthodontist know if adult teeth will come in crooked or cause crowding. Orthodontic screenings are recommended at such an early age so that the best course of treatment can be planned for the child. What will an orthodontist check for? Specifically, an orthodontist will check your child’s facial pattern for proper balance, symmetry, and growth.Other information will also be collected to determine if treatment is needed right away or in the future, such as by taking x-rays to evaluate developing teeth, measuring the dental arches to evaluate space available for future teeth, and other methods to help you or your child achieve well-aligned teeth. An orthodontist can help you determine if your child’s teeth and jaws are developing normally for a healthy mouth. What if my child still has baby teeth? It is a common misconception that children are not able to receive orthodontic treatment if they still have baby teeth. On the contrary, significant work can be accomplished while the baby teeth are still present! This often will be a time where we focus on growth guidance - ensuring that your child's mouth is ready to accommodate all of their adult teeth. If there are still baby teeth in your child’s mouth, the orthodontist may recommend partial braces. Partial braces are placed on the upper or lower anterior teeth to alleviate crowding. Each child is different, which is why it’s important your child receives a full orthodontic examination. What if my child experiences discomfort while chewing? If your child complains of dental discomfort while chewing, this is a sign that the teeth are not aligned properly. To prevent the teeth from wearing improperly and casing further pain, we recommend you take your child to see a pediatric orthodontist as soon as possible. An orthodontist will be able to recommend and carry out treatment so that the teeth are moved to a more optimal bite pattern. If you are interested in our pediatric orthodontic services, please feel free to call either of our Grand Rapids or Grandville locations. The dental professionals at Armbrecht & Wierenga Orthodontics are dedicated toward helping parents get the best orthodontic treatment for children.